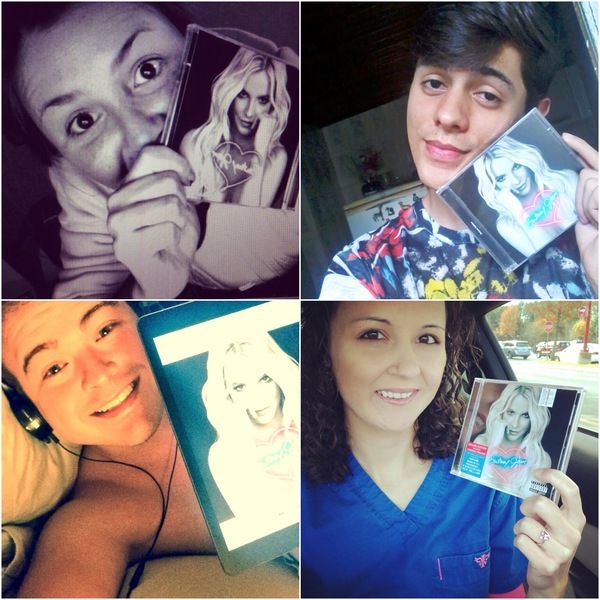 Britney Army - You all look amazing with your copies of Britney's new album Britney Jean and now we want to see even more pics of all of you! Add photos of yourself with your copy of the album to the photostream below by clicking on the green + button! Plus, you can listen to the new album on Spotify while the photostream plays! Click the play button in the Spotify player to listen to Britney Jean in full while watching the photostream. Britney Jean is available now on iTunes!